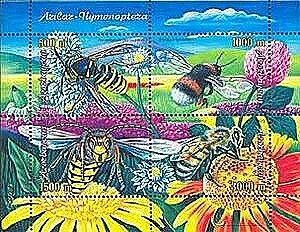 In 2005, Azerbaijan issued a colorful souvenir sheet featuring bees (Scott #803). 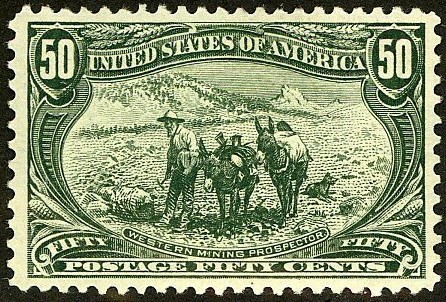 Only 25,000 were issued, and Scott '13 prices the unused sheet at $ 7.50 . The sheet makes an interesting and low-risk speculation based on its appeal as an Animal/Insects topical, and as a bet on the economic growth of Azerbaijan and the development of a stamp market there. This recommendation is consistent with my belief that one of the best ways to play the new and newly resurrected countries of Europe and Asia is to focus on popular topicals with low printings.